RAMiami is out now!28 exclusives and a huge minimix from June Miller! The waiting is finally over… We’ve unleashed your soundtrack for the next Music week in Miami and it’s packed full of exclusives. With no less than 28 brand new cuts accompanying you onto one of the world’s hottest beaches, prepare for the smooth riding riddims of Ram Records to envelop the US and beyond. From label stalwarts Delta Heavy, to new signees Teddy Killerz and championed guests Gerra & Stone, there’s a musical taste to suit every palette. Whether it’s from a renowned roster artist or a relative newcomer, this compilation bursting with heaps of exclusives is the only way to launch you headfirst into the innovation drum & bass is renowned for. Carefully finessing this album, the Ram imprint is about to drum & bass for a transatlantic journey. It’s a showcase of what the genre can offer… electric vibes which pulses through its veins and cherished memories of a tempo which pulls you into the morning’s early hours. 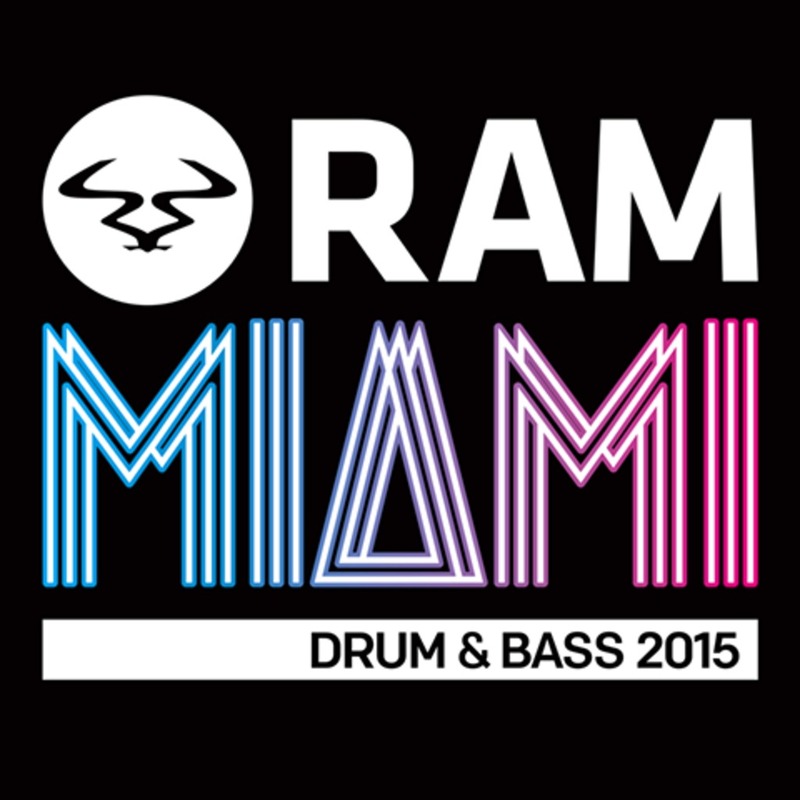 But with the Miami conference pedestalling every major genre which has made electronic music so popular, there would be a void if Ram didn’t step up. And as one of the most withstanding labels from the last two decades, they’ve delivered with immense style. You’re provided with a host of smooth basslines and hotly tantalising vocals to take you from pool-party to clubs at some of the most renowned districts. Audio is first to deliver, crashing in at full speed and leaving no survivors with the tear out anthem which is ‘Combust’. Then taking you into a web of technicality and meticulous composition is Calyx & Teebee’s ‘Wipe Out’. There are also a huge selection of Vips to firmly solidify why it’s important to revisit tunes which are still to this day so highly sought after; leading the way is Loadstar’s ‘Under Pressure’ Vip, which set a stunning precedent in 2014. So, now it’s time take the legacy of Hornchurch to Miami and lay down the same roots which are still prevalent throughout the UK today. And adding that to Miami’s reputation, it’s a match which is set to make history.